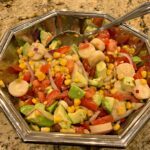 A tasty side salad recipe that is made with hearts of palm, tomatoes, and avocado tossed in a simple dressing! Perfectly compliments any meal! Each weekend, my parents get together with their friends Tracy and Wade. They have a few restaurants they switch between, or they go to the others house to have dinner, drinks, and card games/pool! Sounds fun, right?! 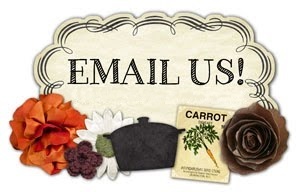 Well, last weekend, Tracy and her husband had a chili cookoff at their house. Both she and her hubby each made a batch of chili for my parents to try. They served cornbread and this salad to accompany the chili and the meal was a hit! I never did ask who the winner of the cook off was, but I did hear how tasty the meal was! My parents both raved how tasty the food was and my mom quickly snapped some pictures of the salad, so I could share with you all. She said the salad tasted incredibly fresh and had great flavor. The dressing was light and added the perfect finishing touch! Just looking at the pictures, it looks like the perfect salad to serve at a picnic/potluck, for having guests over, or just to enjoy with friends/family! All the ingredients in this combined make a colorful option to add to your menu! 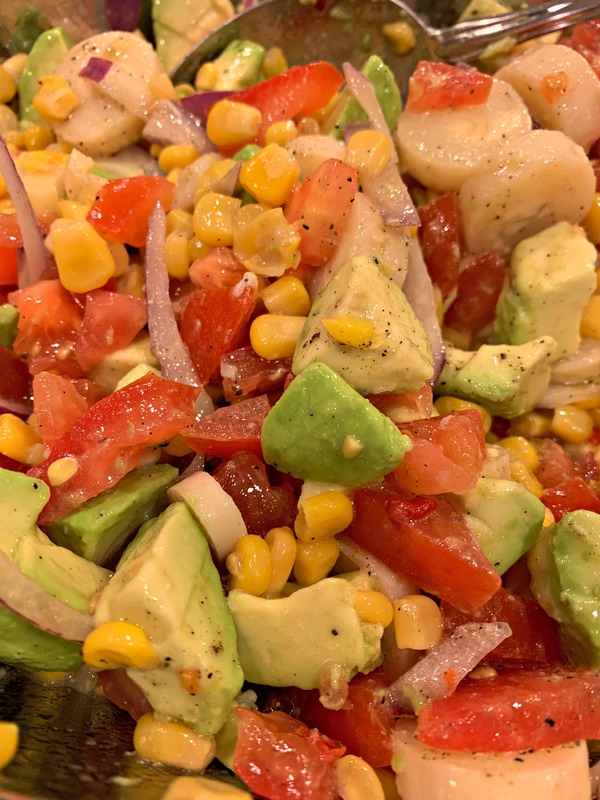 I personally have never tried hearts of palm, but after looking at the pictures of this salad, I definitely plan on making this in the near future! 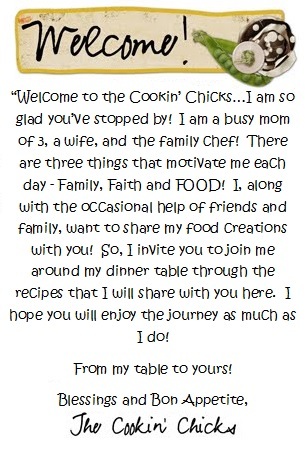 Thanks Tracy for sharing the recipe and thanks mom for taking the pictures! In a small bowl, whisk together the oil, vineagar, cilantro, lime juice, salt, and pepper. 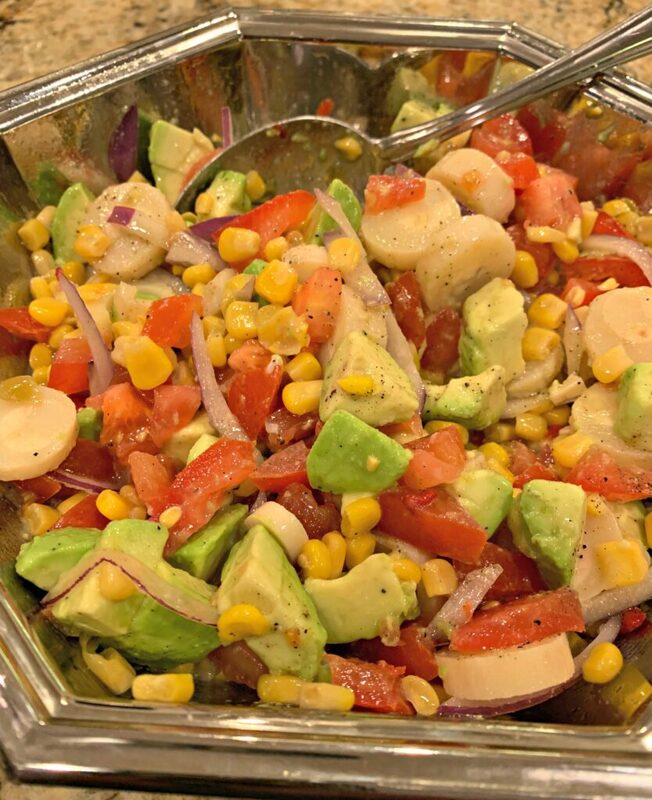 Add drained tomatoes (or fresh), hearts of palm, avocado, onion, and corn. Stir gently to combine. Serve and enjoy!